What will sway Georgetown’s administration to divest our endowment from fossil fuels? 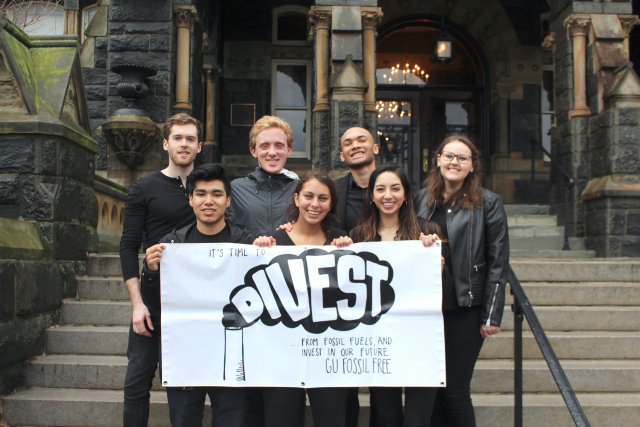 Despite employing a combination of student advocacy, financial prudency, and appeals to Jesuit values, GU Fossil Free (GUFF) hasn’t achieved its primary goal yet. As we entered our fifth year of attempting to persuade Georgetown’s administration, it seemed merely symbolic that we put forward a new proposal in January that urged the Committee on Investments and Social Responsibility (CISR) to recommend full divestment from fossil fuels over a five-year timeline. Such was the case before we sat down to meet with CISR in March. In a marked difference from previous proposals, the members brought forth new perspectives to our proposal. We are so grateful for this genuine collaboration, an example of the productive dialogue with administrators that can happen when students have the channels to reach them. As a result of these engaging conversations, GUFF has taken a hard look at its proposed methodology for divestment. Our conclusion is that divestment is more than just pulling investments from companies that contribute to climate change. Instead, we should recognize the necessity that energy companies acknowledge and adapt to the horrific realities of global warming. There’s a real opportunity for strategic and responsible engagement for Georgetown to advocate for these changes, and we should collaborate with our peer institutions to maximize its impact. On March 28, we sent a memorandum to CISR detailing how Georgetown should incorporate these principles into a strategy for divestment. 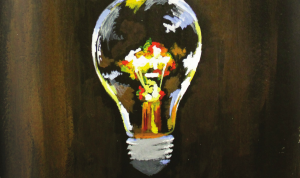 Our new methodology establishes a set of criteria, called Clean Energy Standards, that should be used to evaluate whether Georgetown should invest in any given energy company. These guidelines, developed originally by the Union of Concerned Scientists, gauge whether a company is adequately adapting to resist climate change. They dictate that a company must meet four standards: renunciation of disinformation on climate science and policy, a plan to meet the carbon limits in the Paris Climate Agreement, active support for fair climate policies, and full disclosure of the company’s climate-related risks. If a company meets these criteria, Georgetown can stay invested in it. If it doesn’t, Georgetown should demand that it does. This demand would come in the form of a shareholder resolution, a proposal to a company’s management from its investors. 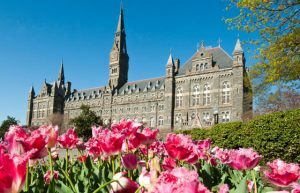 If the shareholder resolution fails, Georgetown should divest from the company. This process of evaluation, engagement, and divestment should follow a five-year timeline. Shareholder resolutions would be difficult to pass, especially because Georgetown likely holds the vast minority of shares in the energy companies in which it is currently invested. That’s why we’re reaching out to divestment campaigns and their administrations to adopt this strategy alongside us. If a coalition of higher education institutions undersigns these resolutions, it would be a far more visible, collaborative, and effective effort. This approach would usher in a new era of higher education’s relationship to the fossil fuels divestment movement. Just as students have a responsibility to fight for university-wide policy that reflects our values, it recognizes that educational institutions have a parallel duty to challenge the unethical practices of companies in which we invest. But such a large-scale undertaking won’t happen unless it has a recognized, legitimate leader. Georgetown should embrace this proposal not only because it’s the right course of action for our endowment, but also to prove its viability to other institutions. If we want to prove that we are truly sustainability innovators, this is a moment to evolve in a thoughtful and impactful way. Five years ago, this strategy would have been inconceivable. There was no protocol in place for students to meet with administrators about the endowment, let alone submit a proposal and have such a fruitful discussion about it. Since then, we’ve put our heads down and worked through the winding Georgetown administration. When there was no procedure for student input on the endowment, we helped create one. When there was no clause to prevent the endowment from harming the environment, we advocated for a policy that included one. When there was no precedent for divestment on environmental grounds, we wrote a divestment proposal and got it passed. Now, we’re back with our original ask: Georgetown needs to divest its endowment from the fossil fuel industry to make our endowment socially, environmentally, and financially responsible. We look forward to receiving a response from the administration, and urge its members to recognize our strategy as a collaborative, constructive, and innovative path forward.